Tube machining operations present several technical challenges. The clamping and the behavior of the tube during machining are two factors to consider. This is even more significant when we talk of on-site machining. The constraints become more stringent as the machine has to be portable. The clamping system must very often support the cutting efforts and the weight of the machine while being as light as possible. Our engineers paid great attention to this issue in order to propose solutions for all industries and all applications. Each clamping system was designed for a specific purpose. The question we will discuss today is how to choose the appropriate clamping system? 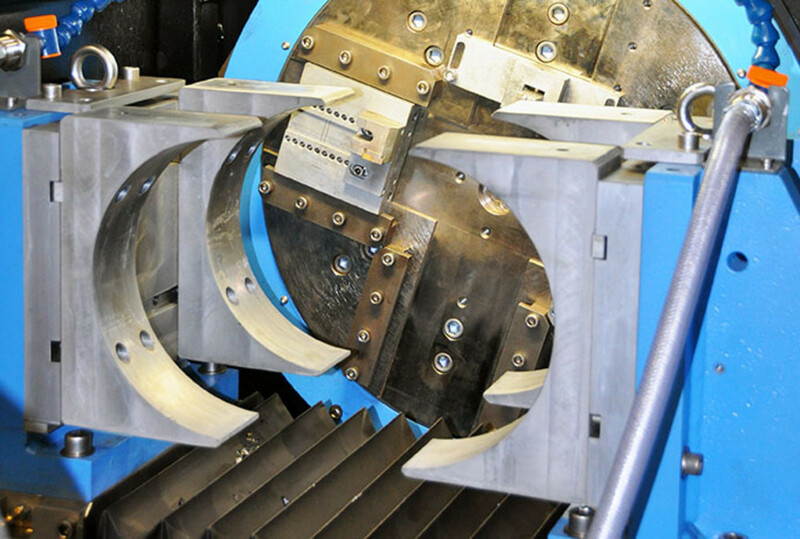 Clamping by means of expansion blades is the most common system used when you need to mount a machine inside the tube. It includes a shaft which is positioned inside the tube. The expansion blades are expanded when clamping the machine. Once the blades are in contact with the tube, the machine is clamped into the tube. 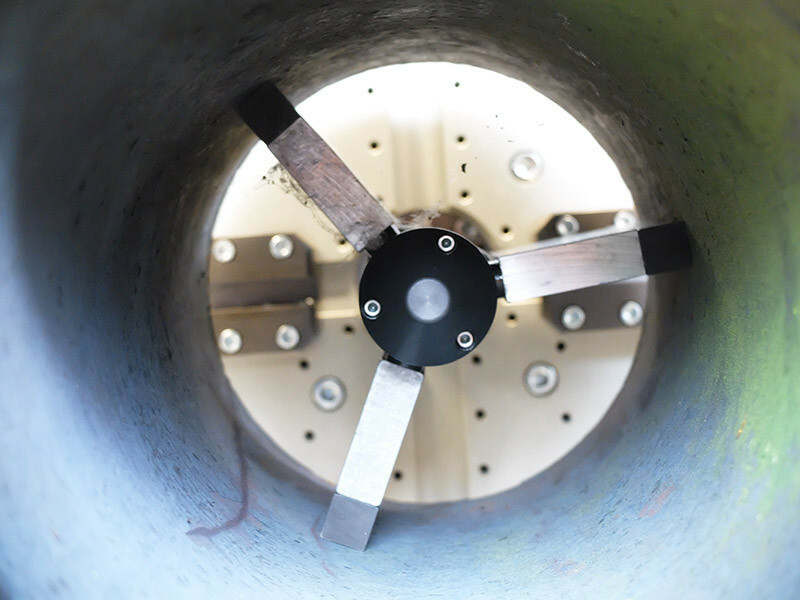 The advantage of this system is the quick set up and the range of diameters you can cover. The machine will center automatically into the tube without any additional adjustment. Tubes can be machined one after the other very quickly, while obtaining a repetitive quality. 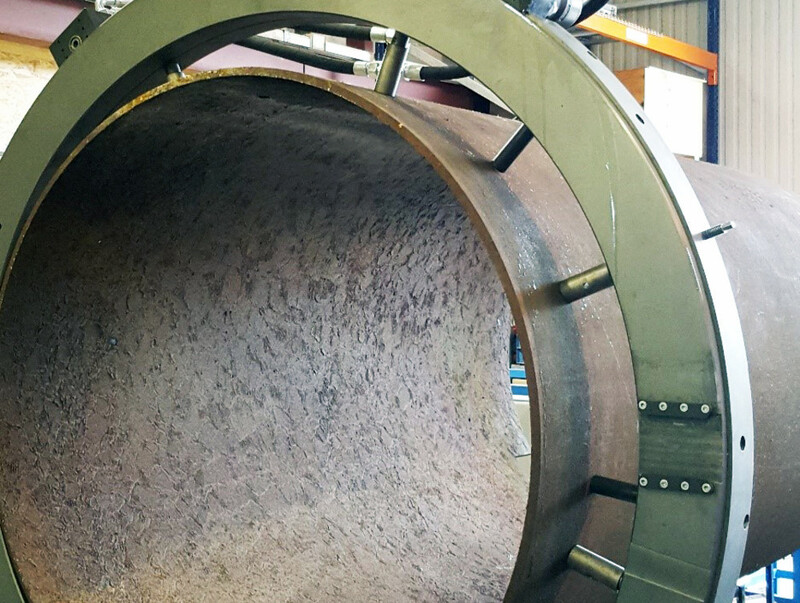 Extra blades can be added to the basic expansion blades to reach larger diameters with the same machine. This does not affect the stability of the machine as long as the diameter remains within the range of diameters specified by the manufacturer. Greater contact between the tube and the expansion blades, creates better rigidity and consequently, the machining accuracy will be of very high quality. The clamping operation can be performed by hand (with small machines), but can also be controlled by means of a pneumatic or hydraulic motor for large diameter tubes, or for a long series of tubes on-site. Elbow machining is a difficult operation which requires a specific clamping device. It is not possible to use a standard blade clamping system because of the elbow curve. The solution is to replace the expansion blades with contact pins that are in contact with the tube when clamping. The adjustment of the elbow mandrel takes more time than a standard clamping system. However, it assures accuracy in the weld prep and can be used directly on-site. 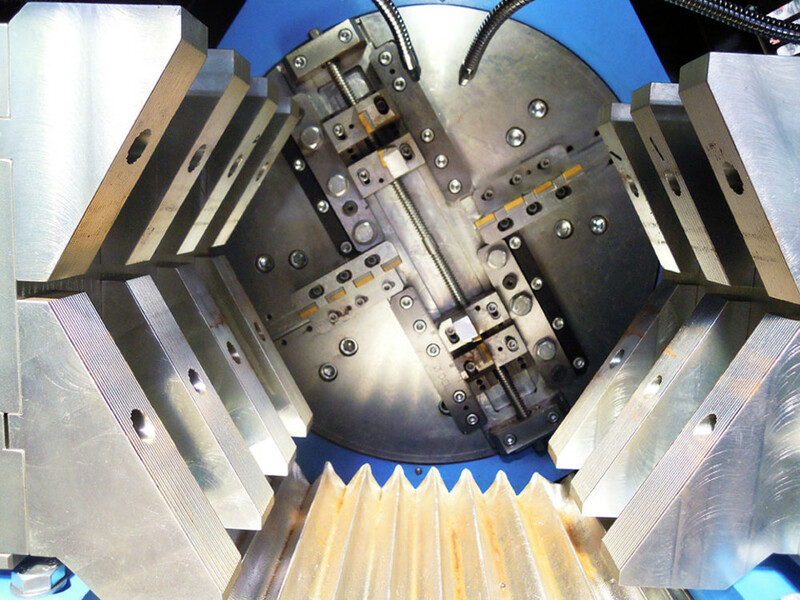 Clamping by use of an inside collet clamps machining units in small diameter tubes. The expansion blade system takes too much space when the ID of a tube is under 15 mm (.6”). 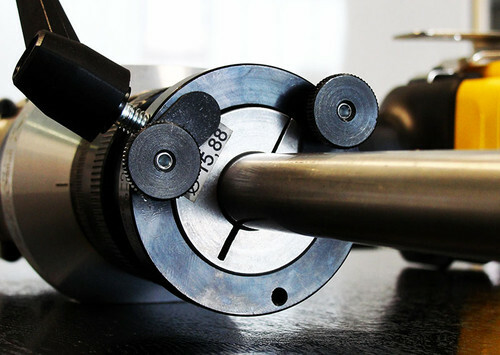 The collet clamping system achieves contact on the entire circumference of the tube. This will avoid the deformation of thin-walled tubes when clamping the machine. The collet system is usually used on small machines which can be used in limited access areas (submarines, for example). This type of clamping is perfectly adapted to small diameters and thin-walled tubes. One collet is necessary per diameter. The spider-type clamping system allows for a very precise adjustment of the concentricity and perpendicularity of the machine. This system has several arms which can be adjusted independently. This compensates for ovality defects and accurately centers the machine on tubes of large diameters. 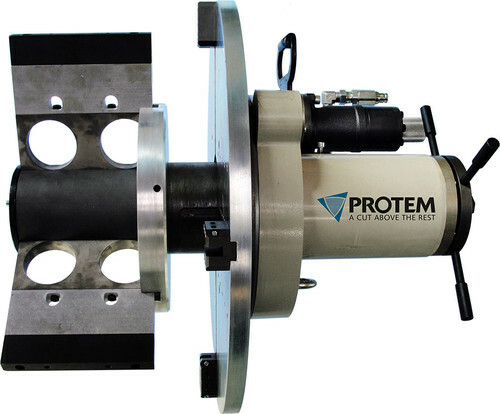 This device ensures perfect stability and high accuracy machining. An outside collet clamping system is used to avoid any contamination of the inside of the tubes while machining. This is critical for tubes used for network construction in the food, pharmaceutical, high purity or aerospace industries. Most of the tubes used in the high purity industry are manufactured with stainless steel. The collets are also made of stainless steel in order to avoid any pollution. The use of a collet in contact with the entire circumference of the tube avoids any tube deformation. This is very important since the thickness of the tubes used in high purity applications is very often thin. When welding two tubes, their edges must be in perfect contact. 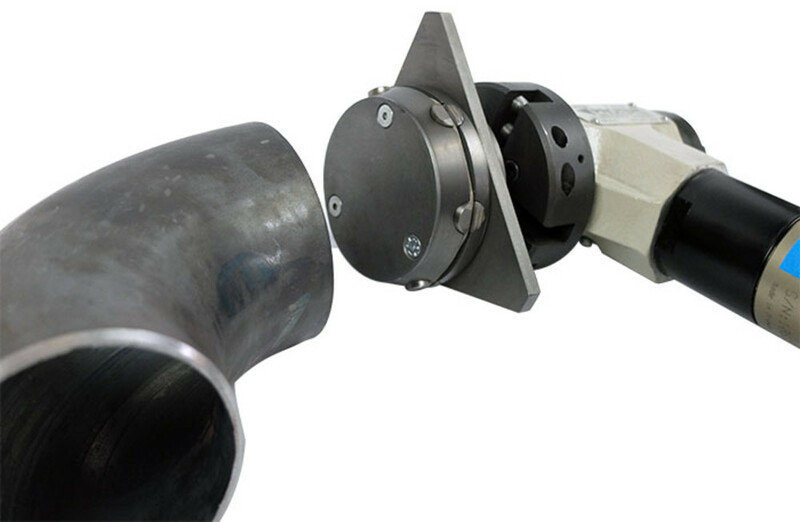 Please note that automatic orbital welding is the most used process in this type of industry and the welding preparation must be perfect to guarantee a good weld. The slightest deformation could compromise the welding operation. The choice of the right clamping system is essential. The system with outside jaws is the first system to consider when talking about outside clamping. The clamping force can be very high to machine heavy-walled tubes or hard materials without risk of tube movement. In some cases, the machine is fixed on the tube with this type of jaws and allows the tube to be cut directly on-site. OD clamping allows for simultaneous cutting and beveling. 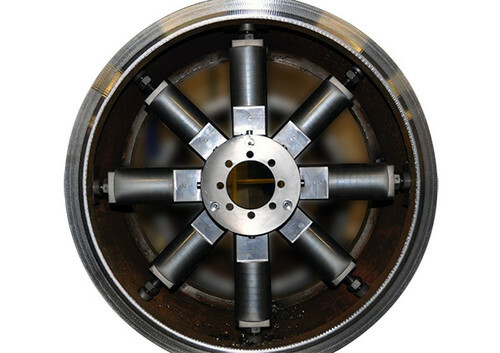 Unlike other types of clamping, the jaws cover a large range of diameters without changing parts, and consequently meet industrial productivity constraints. The enveloping jaws clamp on the exterior of the tube and machine thin-walled tubes. The collets are mainly used on thin-walled tubes, whereas the enveloping jaws are considered for large diameter tubes. They are adapted for serial machining when they are installed on machines with high production capacity. The prismatic clamping system is made up of two jaws that come around the tube toward each other in four spots per set of jaws. 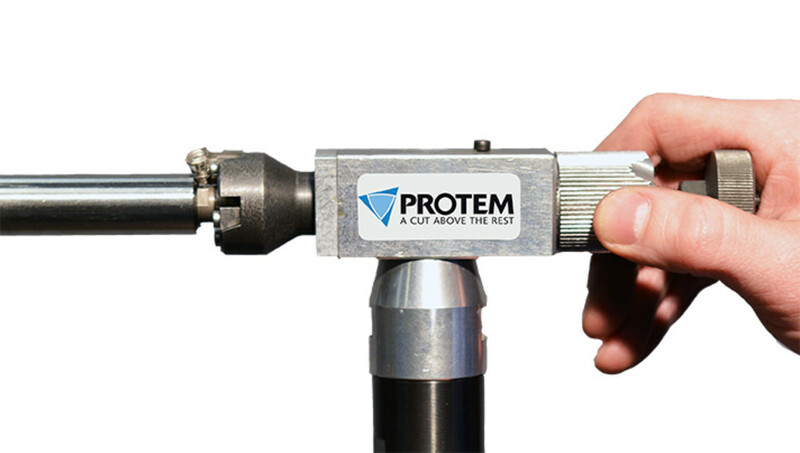 This clamping system creates powerful clamping on the tubes, but can also cover a large range of diameters. It is used to achieve high production rates on different tube diameters. It is powerful enough for heavy-walled tubes. The question of tube clamping can at first be considered minor. However, it is necessary to take all the parameters into account in order to perform a perfect machining. A machining performed with an unsuitable clamping system can create damage to the tube and can jeopardize machining operations.